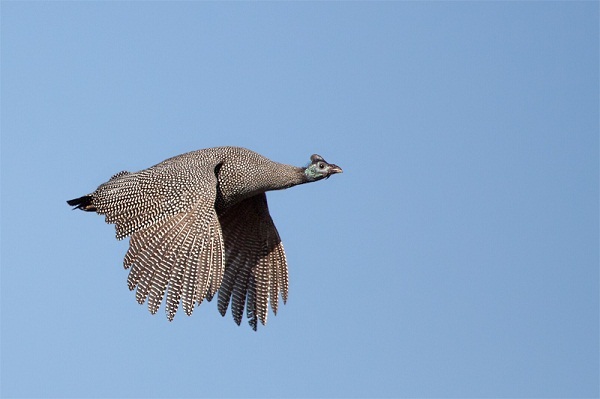 The Chief Executive Officer (CEO) of Savannah Accelerated Development Authority (SADA), Mr. Charles Abugri has revealed that the guinea fowls that reportedly flew to neighboring Burkina Faso in the infamous SADA guinea fowl project scandal have started returning home. It would be recalled that management of SADA last year made hilarious media headlines when they disclosed in one of their responses to the whereabouts of the hundreds of guinea fowls they claimed to be rearing that the birds had flown to Burkina Faso. Their response followed fact finding visits by journalists to the facility where the animals were being reared by Asongtaba Cottage Industry at Sumbrungu near Bolgatanga in the Upper East region. The media during the numerous visits only spotted a handful of birds contrary to reports they were in hundreds in justification of the huge sums of money government sunk into the project. The management at the time struggled to explain the whereabouts of the rest of the birds to the extent it was revealed they may have flown to an unknown destination in neighbouring Burkina Faso. But presenting SADA’s development plan at the National Development Planning Commission public consultative forum in Tamale, Mr. Abugre assured Ghanaians that the guinea fowls have started returning to home. “I can announce that those guinea fowls are on their way back from Burkina because I ate a few in Bolgatanga a few days ago,” he disclosed. The CEO indicated that the law that created SADA is not only centered on guinea fowls but other projects to inure to the benefit of the people within the SADA zone. According to him, there are three main objectives of the authority all geared towards alleviating the suffering of the people within the SADA zone. One of the major objectives he indicated is prioritizing and providing strategic planning and guidance to government for the purpose of ensuring that development in the SADA zone is accelerated, integrated and comprehensive. Additionally, he noted it could trigger the pace of change in these areas rapid enough and faster than the national average so that there will be bridging of the gap between the north and the rest of the country. The first major task Mr. Abugre added was planning and sourcing creative way to raise money and attract investments to the zone to accelerate the needed development. Support to the decentralized coordinating system particularly the regional coordinating councils (RCCs) he observed, is also key so that resources are harnessed and interventions achieved with the greatest impact. To this end appealed to residents as well the business community to partner SADA in realizing its dream of developing the north which is noted for lagging behind; to catch up with the rest of already developed regions in the country.